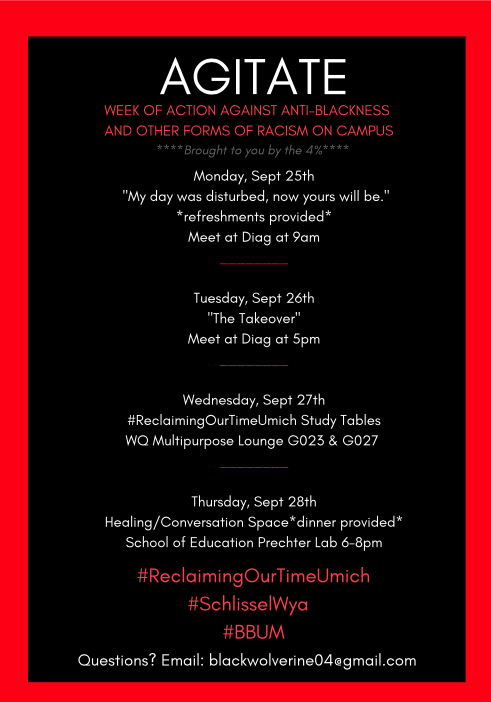 Following last week's protest against racist flyers and graffiti, Students 4 Justice are planning a week of action and agitation. 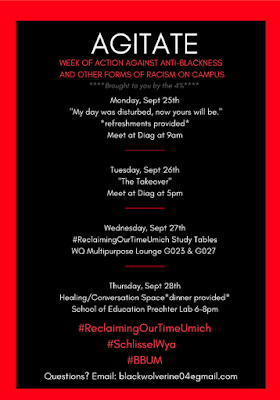 If you are following our Twitter Stream, or are on North University now, you have probably noticed that the week of action has begun. As of press time, students are blocking access to the Central Campus Transit Center between CC Little and the UM Museum of Natural History. The Daily's Coiln Beresford and Matt Harmon are on the scene as well as postdoctoral fellow, Austin McCoy. Here are some of their Tweets from the scene. It’s called the Central Campus Transit Center (because it’s, like, on Central Campus). Thanks! The fact that the CCTC is on North University resulted in me getting some wires crossed in my head. It has been changed.